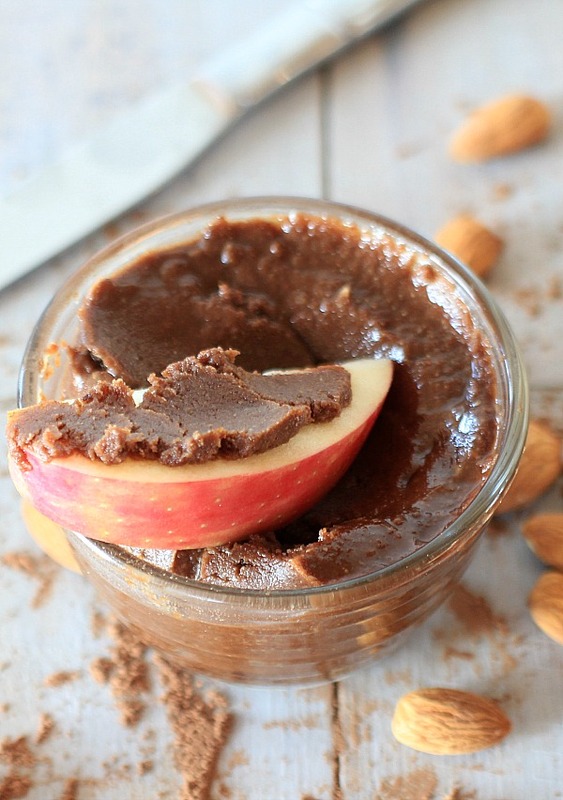 There’s nothing wrong with using fresh fruit slices to scoop out nut butter. There’s nothing wrong with smearing nut butter all over pancakes and waffles. Most of all, there’s nothing wrong with adding a little bit of nut butter to double chocolate ice cream. I refuse to feel judged. 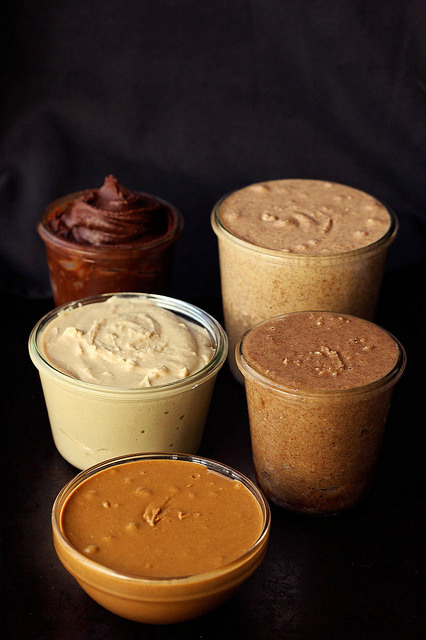 What I always feel bad about though is the obscene amount of money I spend on nut butters. It’s pretty ridiculous honestly. 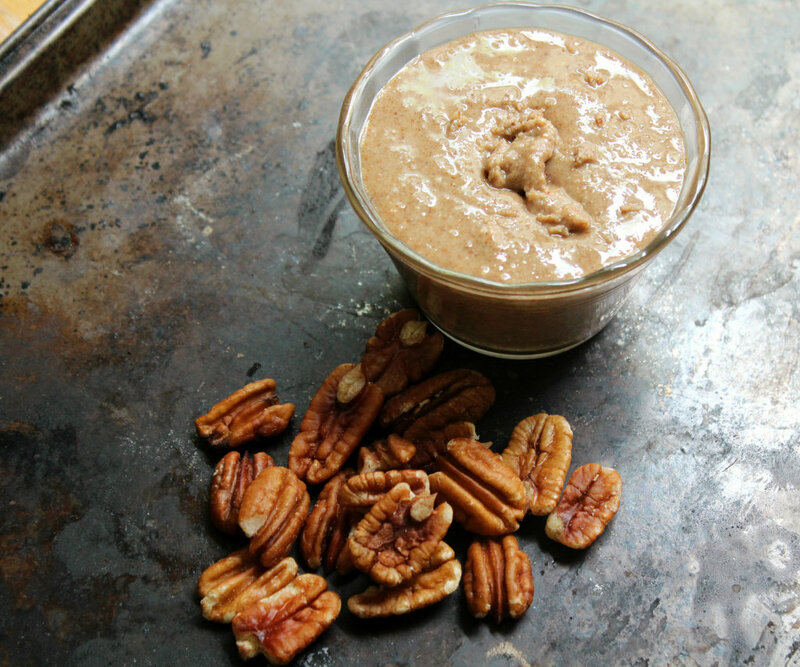 So I spent the better part of Sunday trying out some homemade nut butter recipes. 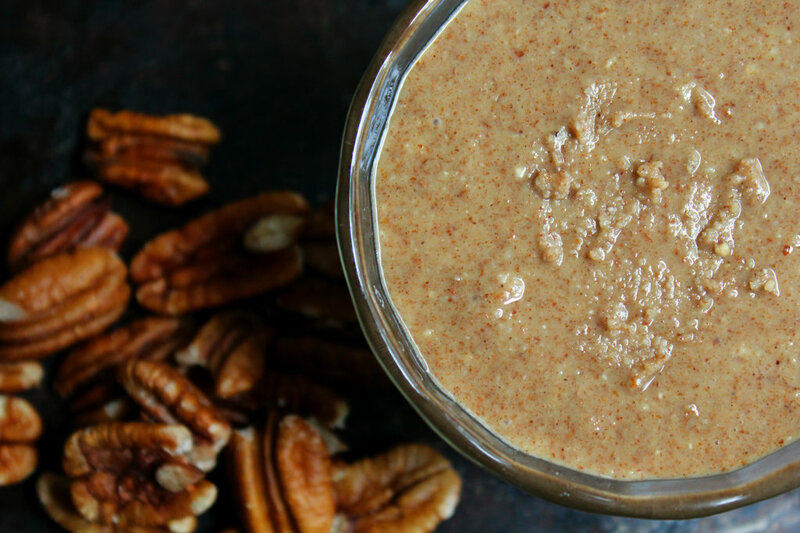 I seriously cannot believe how easy it is to make nut butter. I had the chance to use a standard mason jar in place of my blender carafe (something I love to do, because you know, it’s the little things). The basic recipe is just nuts, oil, and sweetener. Just throw your ingredients in and voila! There was a little bit of trial and error here, folks. One thing I learned… no matter how tempting it is… DO NOT ADD WATER!!! I ruined at least two batches by adding water and it really changes the flavor and consistency into something that’s totally clumpy and gross. Once I got the hang of the basics, I was able to fool around with different flavor combinations. I went crazy with all of the possibilities! I’m so stoked about the combinations I tried, and I just have to share my top 2 faves with you! ***um, this morning, I mixed some of this in my oatmeal. and it was INSANELY tasty. This next one might just be my go to recipe when I’m pressed for time. No oven-roasting necessary! It’s super simple, but the taste is amazing.